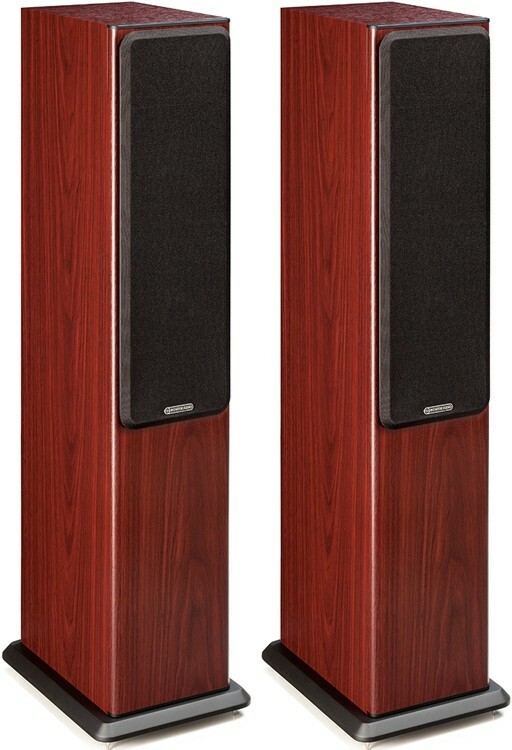 Bronze 5 is the smallest floorstander in Monitor Audio's Bronze range, delivering powerful responsive bass lines that surpass those of many much larger towers. 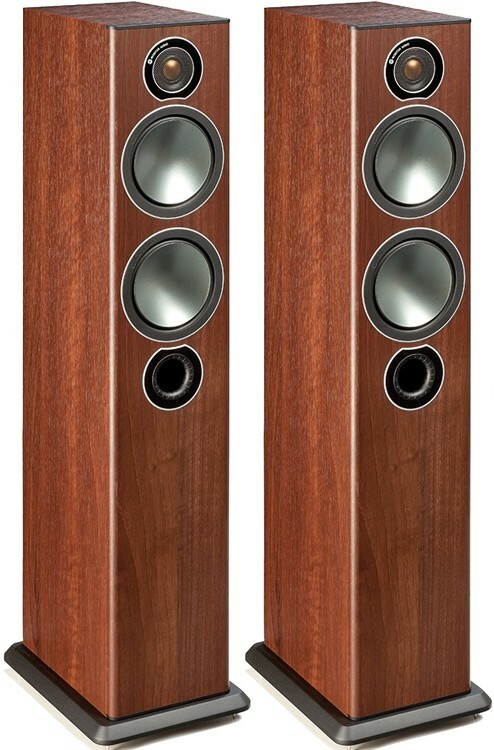 Monitor Audio Bronze 5 slender speakers have won awards from What HiFi, Home Cinema Choice and HiFi Choice, these floorstanders deliver powerful, responsive bass lines that belie its stealthy appearance and surpass those of many much larger towers. 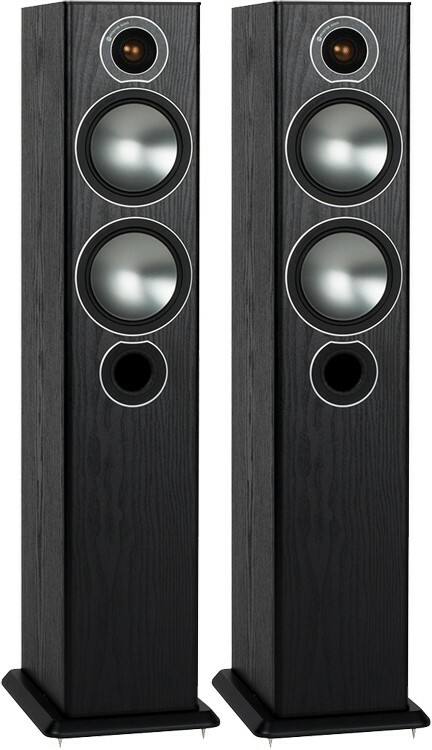 This floorstander has 5.5" C-CAM bass and 5.5" C-CAM bass/mid driver arranged in a two and halfway system configuration, operating in separate acoustic chambers with front and rear firing HiVe II ports to provide differential tuning for higher efficiency and greater low-frequency extension. 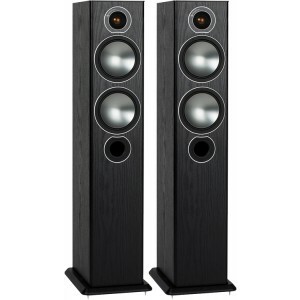 The low-distortion architecture expertly combines clean, expressive mid and highs with punchy room-filling bass delivering rhythmic and addictive large-scale dynamics and detail from an unobtrusive tower. 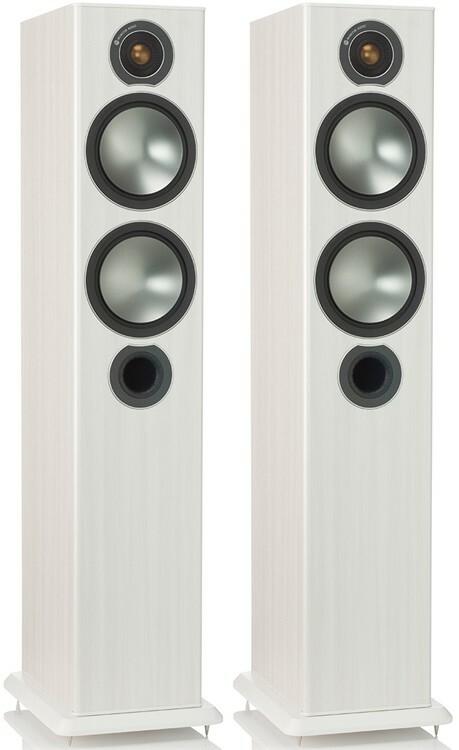 Monitor Audio's latest entry-level champion upgrades BX and rival budget speakers as it is in a class of its own. The features speak for themselves. For the first time, they are using spectacular steel-grey C-CAM driver cones for a seamless blend with finishes, available in a choice of Black Oak, Pearlescent Walnut, Rosemah or White Ash. Invisible driver fixings and floating magnetic grilles add to the impression of streamlined sophistication, lending new Bronze the look and feel of a premium range. 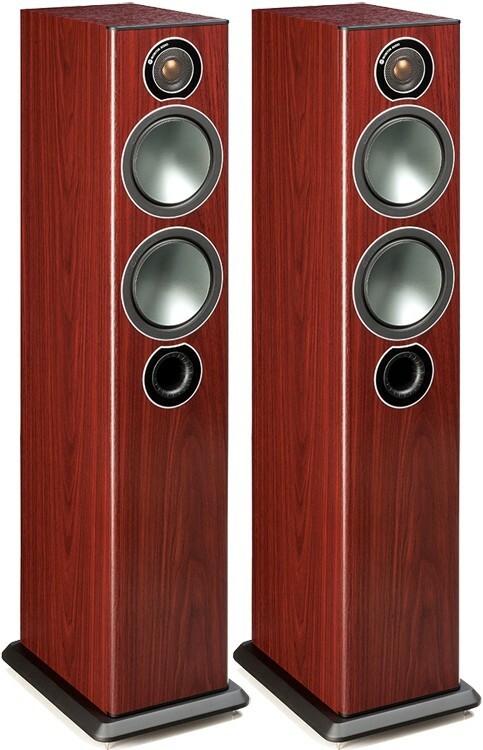 Monitor Audio's most democratically priced speaker line is pure and precise incorporating everything the brand has gained from its illustrious forty-year design heritage. Drawing elements from Platinum, Gold and Silver series, the Bronze range surpasses expectations of its price class including the venerated multi-award winning Bronze BX.